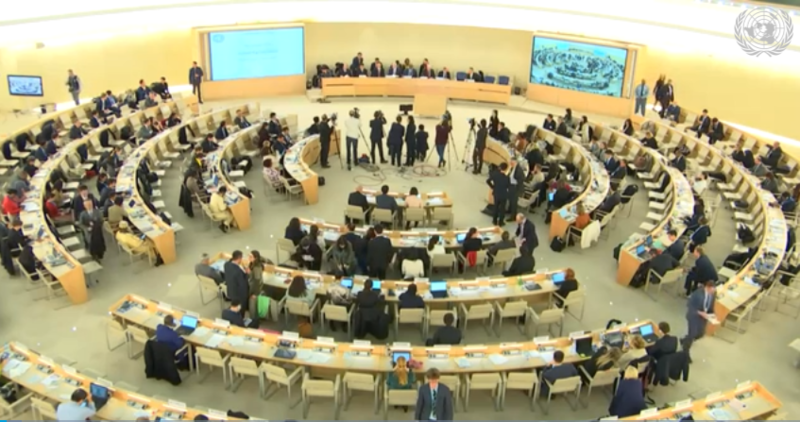 Quito, Monday 25th March 2019.- On Friday, March 15, during the 40th Session of the United Nations Human Rights Council, the People’s Republic of China accepted 284 recommendations (82%) of the 346 received within the framework of the Universal Periodic Review (UPR) of the United Nations[i], which was subjected to last year. Promote measures to ensure that development and infrastructure projects within and outside its territory be fully compatible with human rights and respectful of the environment and the sustainability of natural resources, in accordance with applicable national and international law and with the commitments of the 2030 Agenda for Sustainable Development[ii], as well as to consider establishing a legal framework to ensure that the activities carried out by industries subject to its jurisdiction do not undermine human rights abroad[iii]. Adopt new measures on business and human rights in accordance with their international obligations and ensure that companies operating in high-risk areas or in conflict zones act with due diligence on human rights compliant with the Guiding Principles on Business and Human Rights[iv].